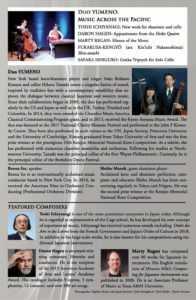 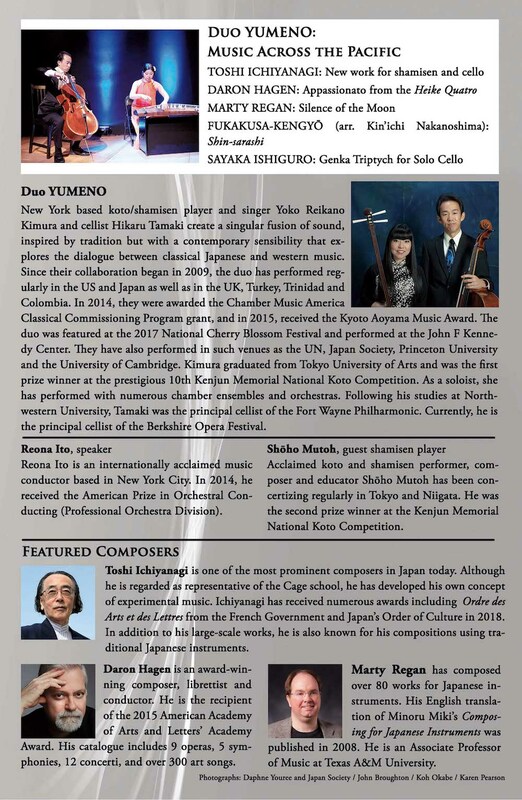 Duo YUMENO – koto/shamisen player Yoko Reikano Kimura and cellist Hikaru Tamaki – will celebrate its tenth anniversary in a concert featuring the world premiere performance of a commissioned work by the prominent Japanese composer, Toshi Ichiyanagi. The concert will also feature works by Daron Hagen and Marty Regan that seamlessly blend Eastern and Western traditions. 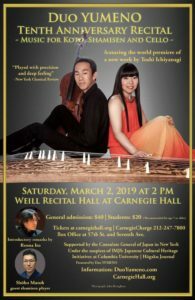 Japanese shamisen player, Shōho Mutoh will join Kimura in a virtuosic, improvisational rendition of the classic Japanese masterwork, Shin-sarashi.